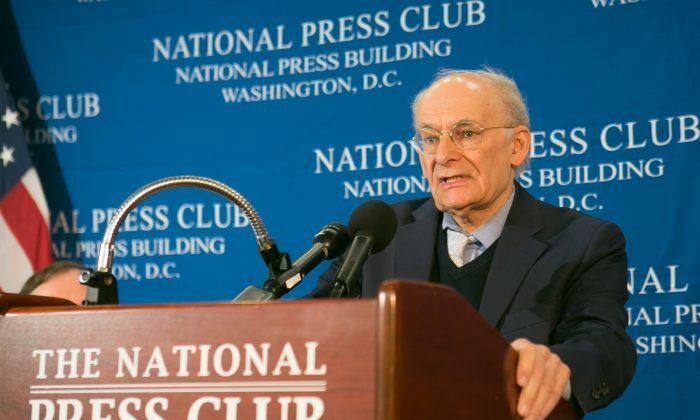 WASHINGTON, D.C.—The authors of a new report about state-led organ harvesting in China presented their findings at the National Press Club on June 22, calling it a “slow motion genocide” that has led to likely over 1 million organs removed from unwilling donors. “This fits the pattern of King Leopold and the Congo, and the genocides in Cambodia and Darfur,” said David Kilgour a former Canadian secretary of state and a co-author of the new report. King Leopold of Belgium wrought a death toll of tens of millions running a slave trade in the Congo, researchers suspect, while in Cambodia and Darfur, Sudan, class and ethnic cleansing massacres with vast death tolls were carried out by the government and militia. The study is titled “Bloody Harvest/The Slaughter: An Update,” and builds on the previous work of the authors. The report says that Chinese hospitals across China have transplanted roughly between 60,000 and 100,000 organs per year since 2000. The death toll of all this activity is unclear, though according to the statements of Chinese doctors, it is likely that in the majority of cases one transplant equaled one death. “The ultimate conclusion of this update, and indeed our previous work, is that China has engaged in the mass killing of prisoners of conscience, primarily practitioners of the spiritual based exercises Falun Gong and others… in order to obtain organs for transplants,” said David Matas, a Canada-based international human rights lawyer who has investigated the issue for a decade, and a co-author of the report. Or perhaps like military squads.